Giving a Lizzy's Gift Certificate is such an easy way to give! 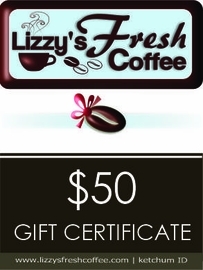 Gift certificates are sent electronically the next business day after your order is placed. The happy recipient will get a gift code and personal greeting from you right in their email in-box.